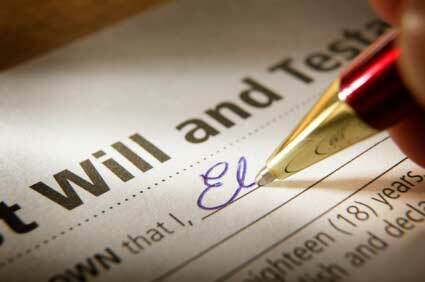 All adults should have a will. It is extremely important for parents, separating and divorcing spouses, and the elderly to prepare a will and power of attorney. Should you die while your children are under the age of majority you can provide instructions in your will on your choice of care givers and guardians. Should you die without a valid will (dying “intestate”), the Intestate Succession Act will determine how your estate is divided, and the results may not at all be what you may have wished. Even if you don’t think you have any assets, if you wish to leave certain items to certain people to have certain things, this wish may not be known to anyone after your death who is in a position to carry out these wishes. Considering the possible consequences of not having a valid will, it is one of the most significant investments you can make. Sometimes it is necessary for someone you trust to take care of your affairs for you. A Power of Attorney is a document you can sign to give that person (the “attorney”) the power to handle certain acts you would normally do. A power of attorney can be for a specific purpose or period of time. For example, if you are going to be away while your house is sold, your attorney can sign the deed and closing documents. Or perhaps you find it hard to get to the bank and appoint someone to make deposits and withdrawals for you. A power of attorney can also be an enduring power of attorney, which would continue to be in power if you should become mentally incompetent. This is an important document to have, as anyone, young or old, can suddenly become incompetent. It would, however, cease upon your death. Remember, your power of attorney must be someone whom you completely trust. This person, depending on the wording of the power of attorney, could have complete control over your financial affairs. If something happens to you, temporarily or permanently, and you don’t have legal mental capacity, who would you wish to make decisions about your medical care, where you should live, and your day-to-day personal decisions, so that they reflect your personal values? The appointment of a delegate can be included in your Power of Attorney document, or it can be made by way of a separate, more detailed document entitled a Personal Directive.